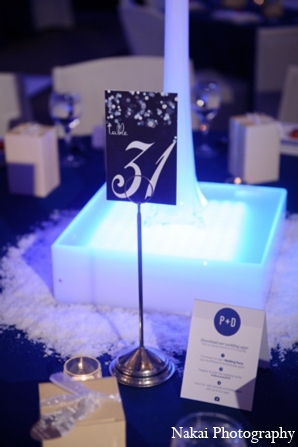 Welcome to this winter-themed reception full of wonder and whimsy! This trendy bride and groom celebrate their union literally under the stars. 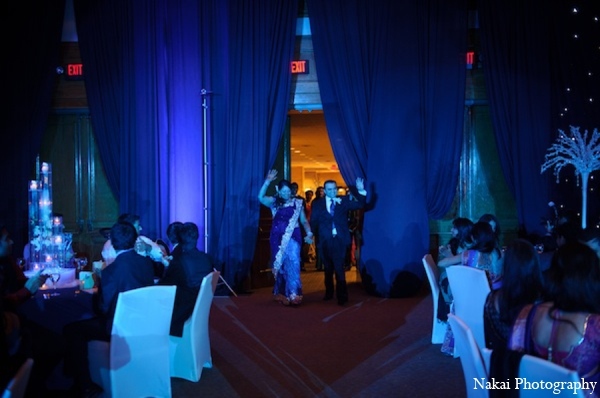 Nakai Photography catches these lovebirds in a state of pure elation as they make their entrance. 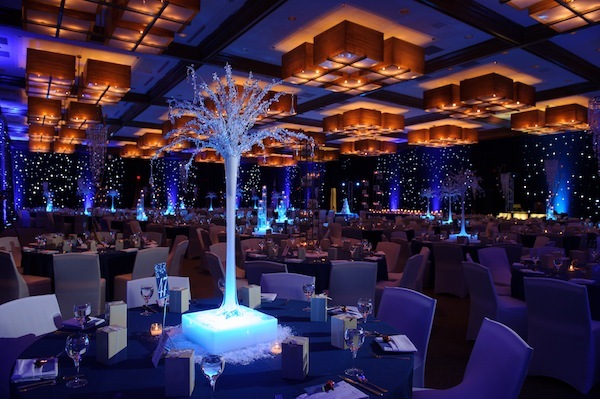 Dream Occasions creates this impeccable winter wonderland with crystal and snow-kissed accents. 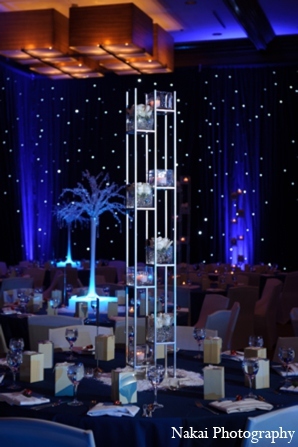 I especially love the twinkling lights on the walls of the hall taking the night to a whole 'nother level. Truly a feat! With yummy treats and a cake with the most adorable snow globe topper (what a neat idea! ), there is plenty to keep these guests satisfied. 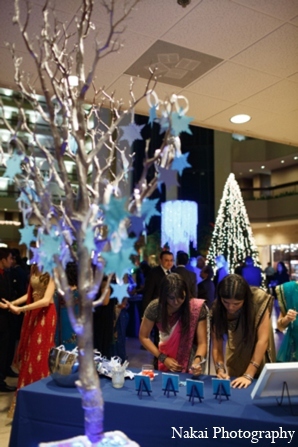 Being a DIY fanatic, the bride created a wishing tree that had 600 (!!!) 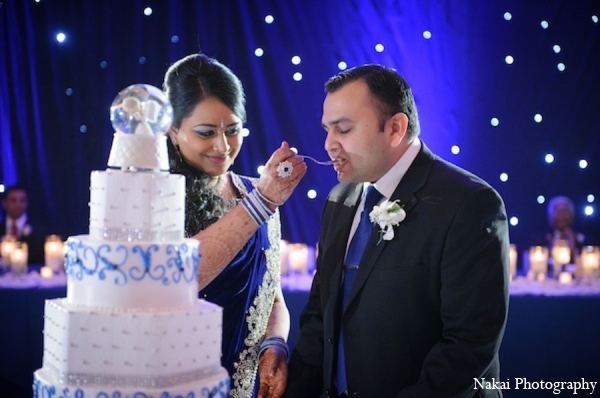 individually cut snowflakes for her loved ones to share precious memories for the newlyweds. Such a sweet way to commemorate the couple! This perfect pair has thought of everything! With the night coming to a close, I'm going to gallery to satisfy my urge for amazing wedding inspiration! See you there, Maharanis! Come back tomorrow for more wondrous weddings! Westin Chicago Northwest is a member of the Platinum Guide. Love what you see? Explore their portfolios.